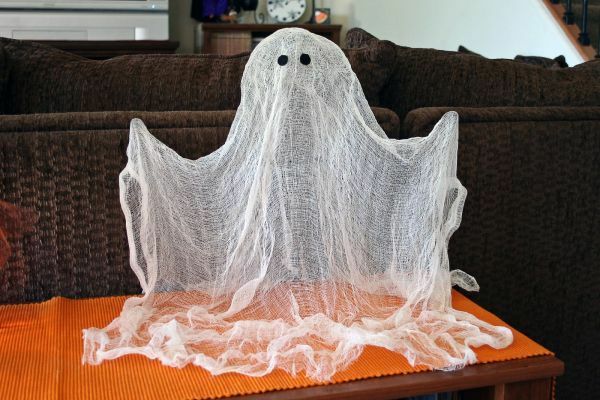 A bunch of cheesecloth, a bottle of starch, and a makeshift ghost “mannequin” is all you need to create some ghostly friends to hang around inside and outside your house this Halloween. For the eyes you can use little bits of felt as in the picture, but I’d recommend using some good ol’ googley eyes if you want to make them extra cute. If you want to make them a bit more scary, you could use some strips of felt to add angry eyebrows.